Most products of everyday life, raw materials for the processing industry or final products from the manufacturer to the port of shipment - nearly all of them are transported on trailers. 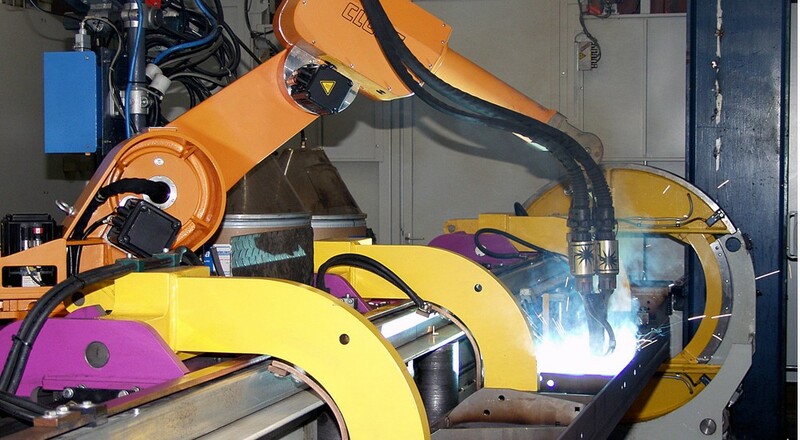 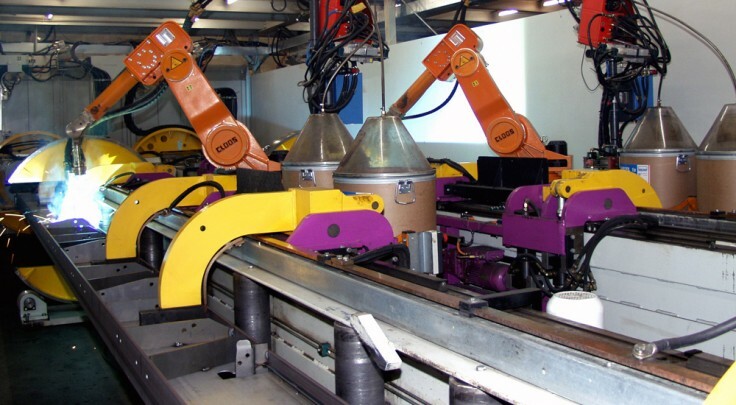 At Schmitz Cargobull two robots weld the I-beams of the trailer using the Tandem Weld process.. 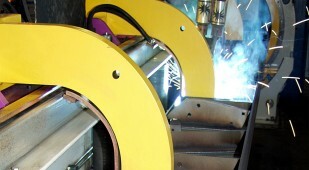 Compared to single wire welding the welding time considerably reduces and the production efficiency is much higher. 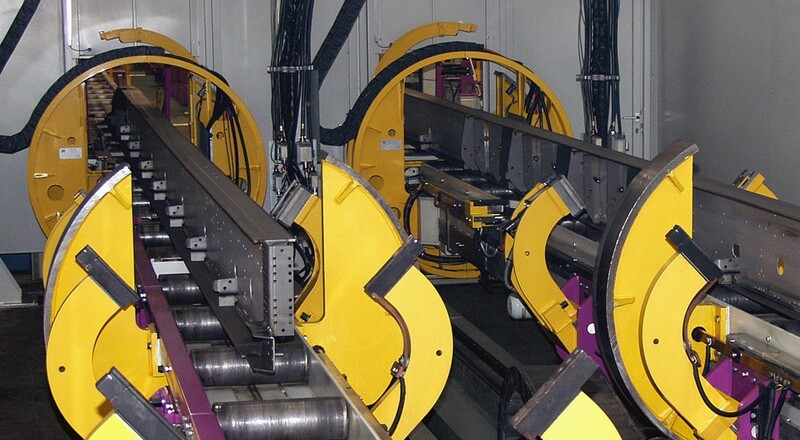 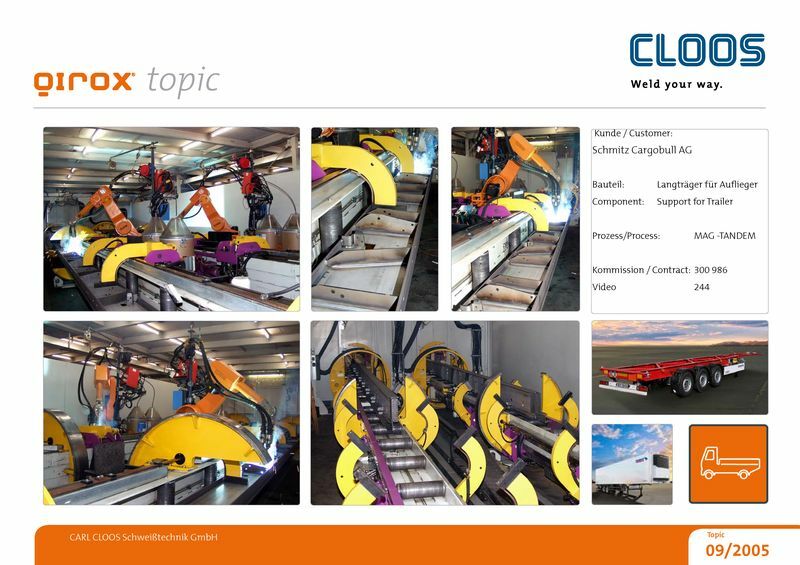 A floor-mounted linear track makes it possible to weld a nearly 20 m long beam without interruption.